“There’s something greater at work here: SONIC SUBSTANCE,” was the praise lauded on our Sammy Loudspeaker by Sound Stage’s critic Jeff Fritz. 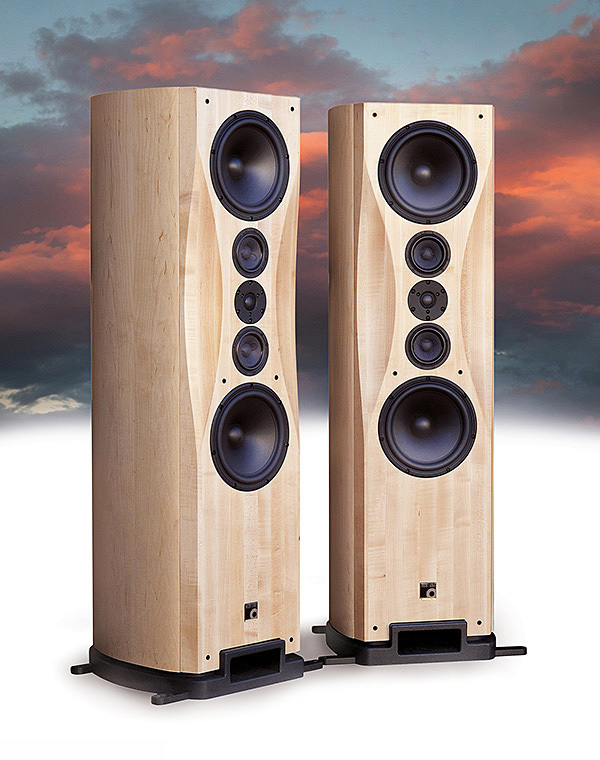 Critic after critic cannot believe the audio presence and purity of this remarkable speaker. Each cabinet is built from a series of stacked rib-frames whose interior nooks and crannies act as an internal anechoic chamber. That’s why we’ve named it an “innerchoic” design. It totally traps all the unwanted sound waves while expelling an audio purity that heretofore was unheard…and unheard of. But now you can hear it — which is baffling in itself. 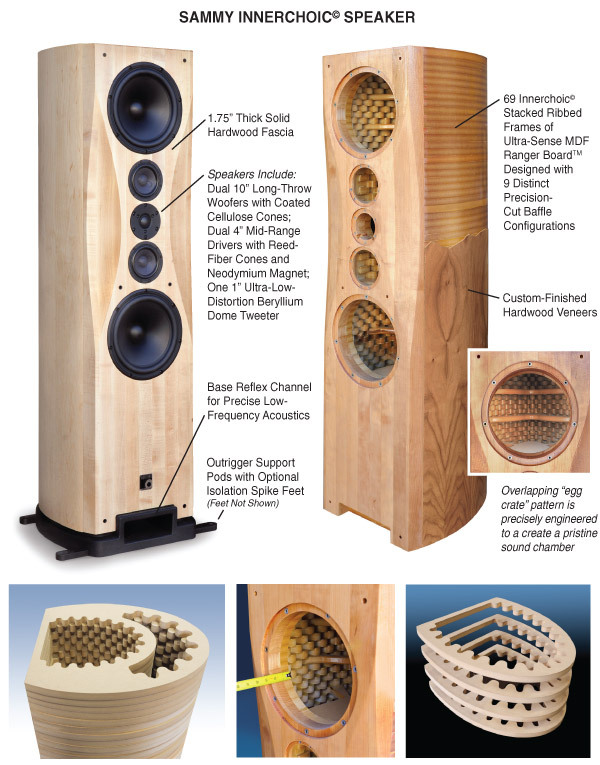 Comes complete with PBN’s proprietary 24db per octave acoustical Linkwitz-Riley crossover slopes. Plus, there are eight precision hand-wound inductors.